Today’s Friday photo takes us over the border into beautiful Warwickshire and the magnificent Baddesley Clinton. I took this on a lovely summers day at this wonderful National Trust Property. 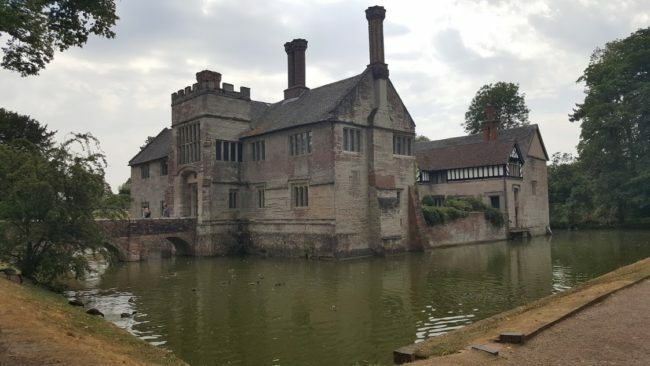 Baddesley Clinton was the home of the Ferrers family for 500 years. Much of the house of today was in the late 1500’s by Henry Ferrers, a lawyer, diarist and antiquarian. The house was not only a sanctuary for the Ferrers family, but also for persecuted Catholics who were hidden from priest hunters in its secret hiding places during the 1590s. One of the best National Trust properties just a short drive from Birmingham.